OriginGPS is showcasing an IoT-enabled baseball developed without a single line of embedded code in 6 weeks at CTIA MWC Americas 2017. Enriched with partner technologies, the 23 x 25 mm device was embedded in a baseball to provide quality of pitch data. OriginGPS, teamed with partners Friendly Technologies, a leading IoT and TR-069 device management company, and Humavox, an innovative wireless charging expert, to create an IoT-connected baseball. Friendly's IoT platform interfaces the OriginIoT to enable communication, management and GUI, while Humavox's compact Wi-Fi-charging bowl re-energizes the system. The OriginIoT effectively resolves inherent costly issues face by IoT developers; i.e. long project cycles and required embedded software expertise. 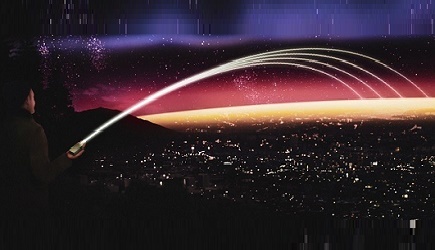 This solution expedites development cycles, and eliminates the need for embedded coding and RF engineering, resulting in substantial cuts in development resources. 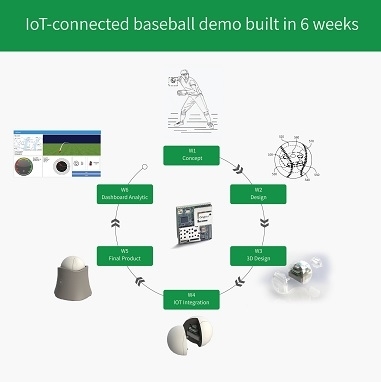 With OriginGPS' superior cellular-GNSS integrated in the IoT cellular system, this smart baseball is a proof of concept for rapid and accessible IoT development. Friendly's One-IoT platform enables service providers to manage the data and configuration of millions of devices on a single platform, accelerating deployment and streamlining IoT service management, while cutting operational costs. ETERNA wireless charging technology is based on RF waves resonating in a shielded cavity, and was built from the ground up to transform wireless charging into a seamless experience for users ("drop & charge"). OriginGPS is exhibiting its GNSS and IoT modules at CTIA MWC 2017, San Francisco, USA, September 12 - 14, Embedded Works booth, Hall North Stand N.609.